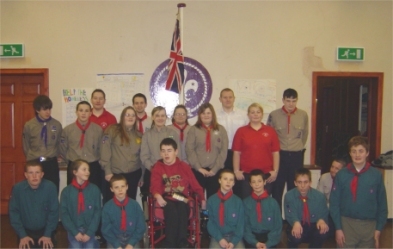 Hull Kingston Scouts is a scout group specifically run for members with Special Needs, although we do also have a number of able-bodied scouts. The group has been opened since the early 1960's and is currently to be found on a Thursday Evening between 7:30 and 9:30 at Portobello Scout Centre, The Broadway, off Holderness Road, Hull. We have a mixed unit of scouts and explorers from aged 10 to 25 years and try to incorporate a full and varied scout programme.